Ox-Eye Daisy 'Leucanthemum vulgare'--The meaning of its scientific name is "common white flower"--I happen to love the fact that it's common! Our Missouri roadsides and fields are covered with these long blooming wildflowers right now and the sight is anything but common! Tradescantia ohiensis 'Ohio Spiderwort'--A Missouri native plant that is commonly found in prairies, wood margins, meadows, along roundsides... One of my favorites-I love its morning blooms, which unfortunately only open for one day. 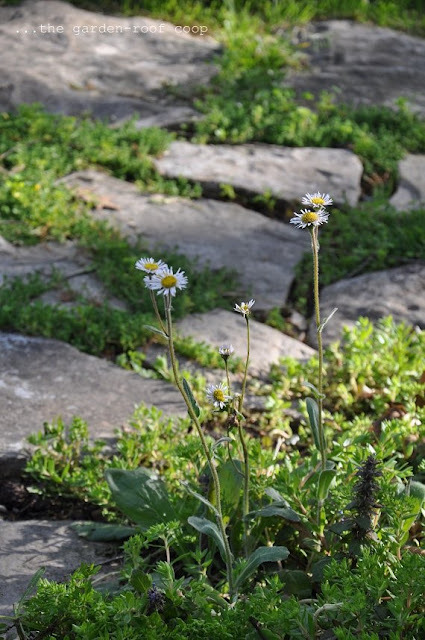 Robin's Plantain 'Eigeron pulchellus'--I bought this native wildflower last year at the annual Master Gardener Plant Sale and it's quickly become one of my favorites. The plant itself reminds me of Lamb's Ear, the leaves are short and somewhat fuzzy, but the best part is when it shoots up a wonderful daisy like bloom during April through June..
Two-Flowered Cynthia 'Krigia biflora'--Native to the US, found in open woods, near streams, in fields and meadows, generally south of the Missouri River. I found this wildflower for the first time this year along the bank of the lake (or 3 acre pond) by my property..
Blue Wild Indigo 'Baptisia ausralis'--A member of the pea family, this native perennial has had many uses throughout the years. 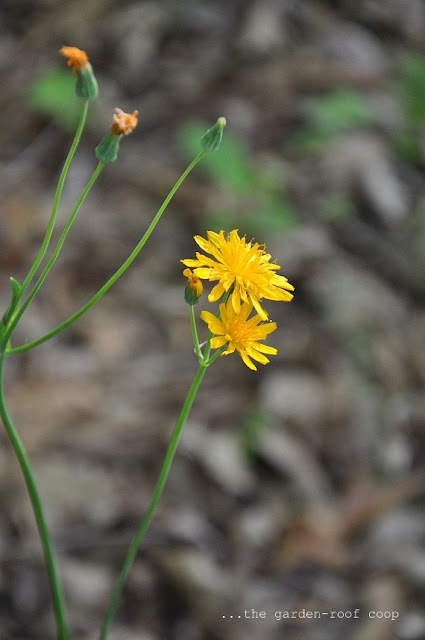 Also know as "Rattleweed," Indian children would use the dried pods with the loose seeds inside as rattles. 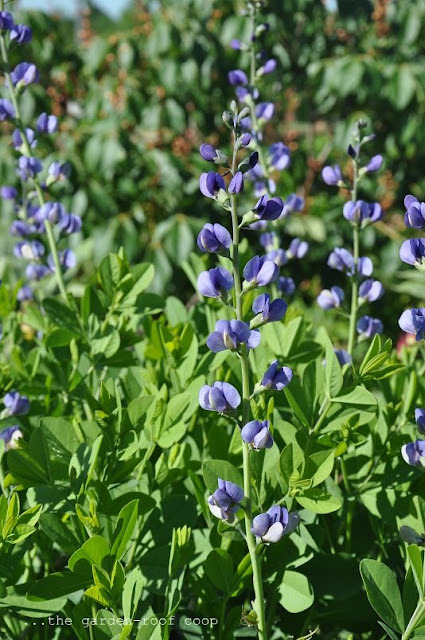 The Cherokee Indians made a tea from it that was used to prevent vomiting and it was also used as a source of blue dye for their clothing. For info on donating to the disaster relief effort arising from the recent tornado that devastated the near-by community of Joplin, Missouri, visit Convoy of Hope. 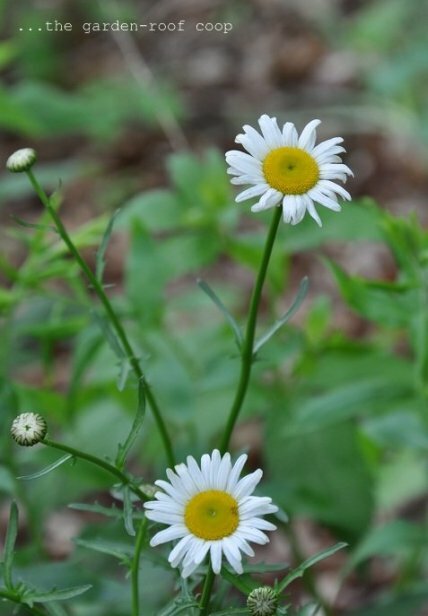 Oxeye daisies have gotta be my all time favorite flower. I've got packets of seeds but for some reason haven't had time to sow them yet. You've reminded me now so I'll do it this weekend. Sure hope you're ok with all that devastating weather you've been having. A wonderful WW post and I loved the automatic chicken feeder video. It reminds me of the piano playing chickens I used to see when we visited those road side attractions in the Ozarks. gail ps Love Ox-Eyes, too. Hi Rebecca, thanks so much for stopping by my blog. I love your variety of wildflowers! 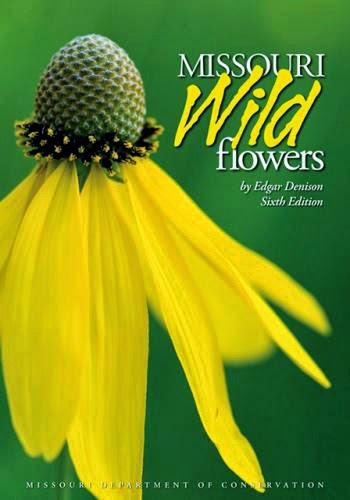 How nice to have that book of Missouri wildflowers. I have one wildflower book of my area of South Carolina, but think I need more! 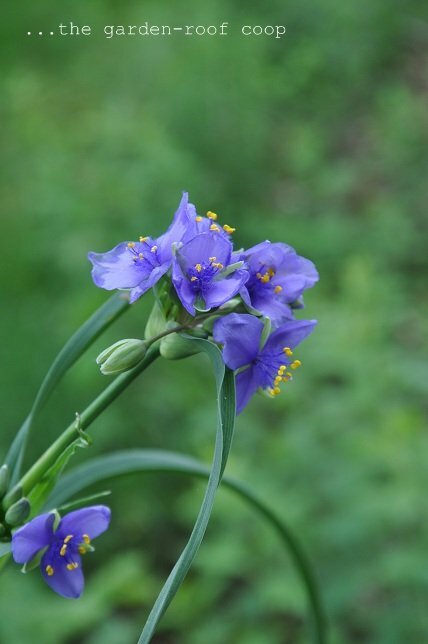 Love the wildflower picks, and the Ohio Spiderwort is really pretty. I'm glad you captured those beautiful blooms--too bad they only open for one day. 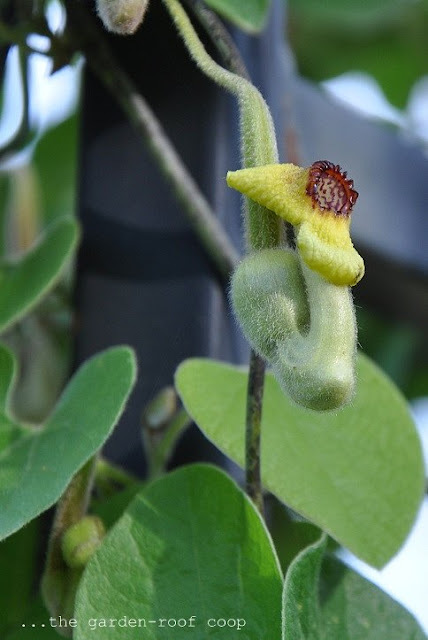 Love that pipevine, such an interesting flower! Great post. You have a beautiful blog! I will have to try Missouri Bee Balm for the dry wildflower meadow. I'm growing pipevine for the first time this summer and I hope I have some blooms and butterflies! 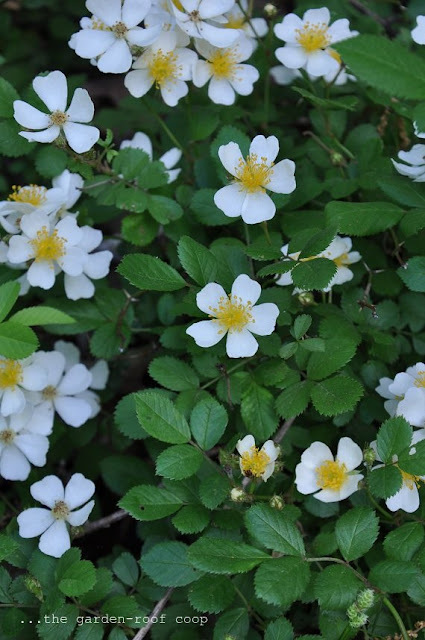 I love your list of wildflowers. But my favorite pix is the one of your coop with its green roof!! LOVE IT!! 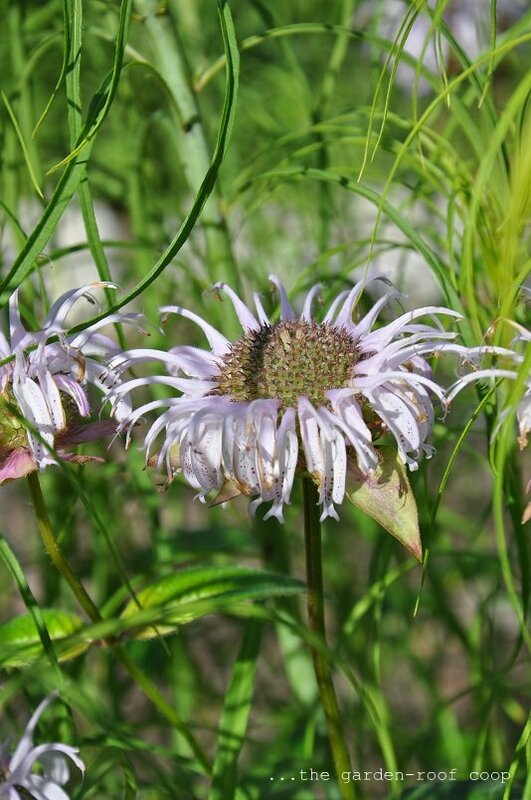 Lovely to see you appreciating your wildfowers - I think many of us Brits take ours for granted. We have some gorgeous hedgerow flowers in bloom at the moment, including oxeye daisies and wild orchids. Beautiful! You have some beautiful Wildflowers, thanks for sharing. :) I love that Pipevine bloom, so cool looking. I'm glad I made it to your wildflower post. I love that pipevine! How cool! I hope your money plant does well. Mine didn't get very tall, but I have some other little plants, that will probably be larger and bloom next year. I've never heard of the Robin's Plantain. That is a sweet plant, too. Gorgeous photos! I'm glad you've had luck attracting pipevine swallowtails. I think their spongey caterpillars are some of the cutest insects I've ever seen.